Laser cutting specialist Bylaser , has recently installed a 3,000 cubic metres nitrogen tank in its facility. 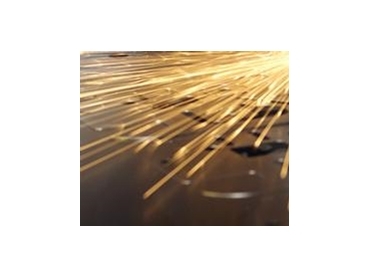 The use of lasers require "assist gas" to blow away the molten metal. Nitrogen is the preferred gas to cut thin mild steel and stainless parts as it achieves better edge quality. However, nitrogen is also a more expensive option and most laser cutting facilities buy it only in small bottles. The volume of stainless cutting done by Bylaser Australia is so large and quality is such an important factor for the company, that the decision was made to install a 3000 Cubic Metres tank. Thanks to this tank, Bylaser is able to buys nitrogen in bulk, keeping costs down. The speed of the Bystar laser cutting machine used by the company, will make the added cost per piece minuscule and final cutting quality will be improved.